If you or one of your loved ones has been injured as the result of careless, negligent, or inexperienced operation of a Tri-Rail, Amtrak, or other South Florida train company in the Miami, Fort Lauderdale, or West Palm Beach area, we encourage you to call The Law Offices of Brumer & Brumer. Train accidents can occur for any number of reasons. Conductors may be fatigued because of lack of sleep due to a dangerously long work shift. Or they could become distracted. In other instances, they may lack the necessary training and experience to be placed at the helm of such a heavy, sophisticated, and fast-moving piece of machinery. Faulty equipment could be to blame. Whatever the set of circumstances may be, if you were a passenger aboard a train that involved in an accident or derailment, and if you sustained serious injuries, we encourage you to retain the services of a highly experience, fearless, resourceful, and dedicated personal injury law firm. With the right personal injury law firm in your corner, you could very well receive a monetary award to cover the costs of your medical expenses, property destruction, pain and suffering, and future nursing care. 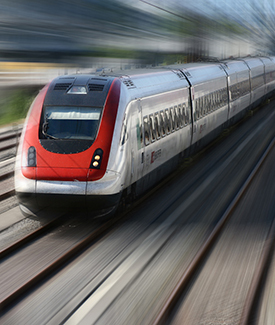 Moreover, lost wages and other missed income opportunities could be factored into the amount you receive in compensatory damages because of a South Florida Train Accident. Throughout the United States, it is reported that there are more than 3,000 train crashes annually. And in approximately one-third of those instances, a death occurs. Negligence, in one form or another, seems to invariably play a role. Just recently in Sanford, Fla., a 36-year-old man was killed after his body was pinned to the ground and crushed by one of four train cars carrying gravel that derailed. It required emergency workers three hours to lift up the train car, which weighed a reported 85 tons. Occasionally, a motor vehicle will get rammed by an oncoming train. Other times, it's a pedestrian whose life is ended by an out-of-control train. No matter how or why the incident took place, the Personal Injury Lawyers at Brumer & Brumer can assist in a financial recovery from the party responsible for the devastation a train accident causes in your life. Our veteran team will embark on a thorough investigation to uncover the exact cause of the accident in which you were injured. Whether it was a faulty tracks, a mechanical failure, an act of sabotage, or something else entirely unforeseen. We are relentless in our pursuit of justice for every client at Brumer & Brumer. There is never a fee to meet with us to discuss the merits of your case. And we are paid nothing if you do not recover a monetary award. Please call us today to find out how Brumer & Brumer can help you and your family.